“Going to Antarctica” tells the story of a traveler’s preparations in advance of and experiences throughout an expedition to Antarctica. Told from the perspective of a seasoned adventurer, “Going to Antarctica” provides a delightful mix of practical travel tips, suggestions and advice, along with anecdotes, colorful descriptions and stories from the journey. 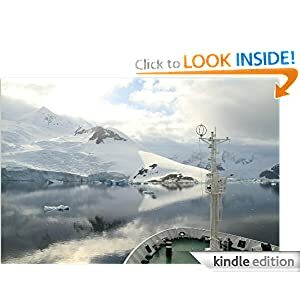 It follows the excursion as the ship navigates through the Drake Passage, the team sets out on land excursions through the wilderness, and the group encounters wildlife and amazing adventures along the way, including camping in Antarctica. 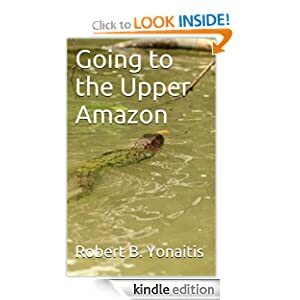 This is a must read story for anyone contemplating a trip to the “seventh” continent, for lovers of wildlife, and for anyone fascinated with this foreign and frozen wonderland. I enjoy Philadelphia; Eagles, Phillies, Flyers and of course the Opera Company of Philadelphia. While I do not get to see the Opera Company as often as I would like I am glad I was able to get to Philly tonight to enjoy the performance of Mozart, The Abduction from the Seraglio. Elizabeth Zharoff as “Konstanze” was fun to watch in her debut with the company and Elizabeth Reiter as “Blonde” was such a good contrast . Blonde was playful versus the more serious role of Konstanze. When the performance started I was unsure if I liked the set and the use of silent film and the highly theatrical performance overall – but within minutes it made me remember walking the streets of Istanbul and I could actually feel the excitement of the entire cast. The performance won me over. I have a personal rule to not discuss a performance before the end, however tonight I posted on Facebook at each intermission. It was a fun and shiny performance and a good life lesson teaching that revenge is not desirable, and of course the pilot, being the highest form of life on earth, got the girl! There are only two dates left to see this Opera and that is on February 24 and 26. The 26th is a matinee. If you in the city you should check out this opera and the OCP. I am pleased to say that I will be in Philadelphia next week for both an Opera and a Visit to the Art Museum. I will of course eat too many pretzels! For art I will be going to the Philadelphia Art Museum with keen interest in seeing the Van Gogh Up Close Exhibit: http://www.philamuseum.org/exhibitions/743.html . In addition to Van Gogh I will have the distinct privilege of seeing the Opera Company of Philadelphia: http://www.operaphila.org/production/abduction-seraglio perform Mozarts, THE ABDUCTION FROM THE SERAGLIO. I was also lucky to get a room right in the theatre district. For those of you that like Art or music, no need to travel, check out your local paper for museums and local performances. It looks like the weather will be warm next week. I think it is time to shake off the winter. Nepal or Tanzania? for my next hike/trek…. 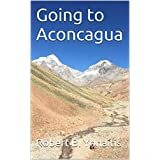 Draft: My new Novella – Going to Antarctica: 1mb PDF, 53+ 8×11 pages – any feedback appreciated : http://www.yonaitis.com/novellagoingtoantarctica.html #Draft #Thanks!